ড. 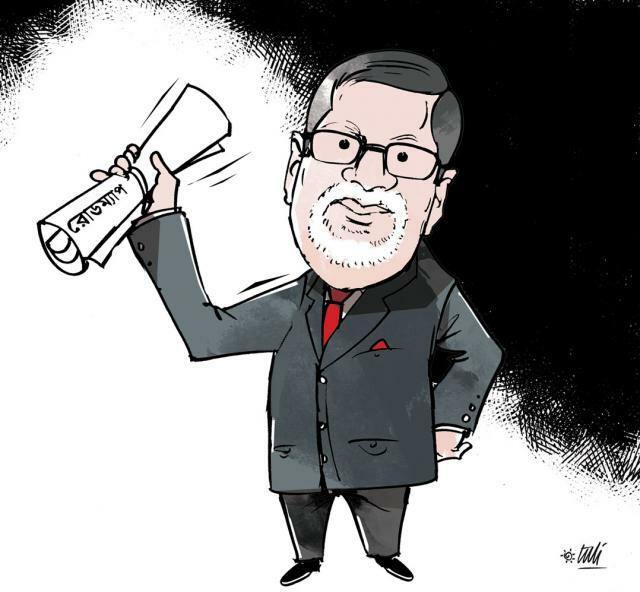 বদিউল আলম মজুমদারের ওয়েবসাইট: Can the CEC take unilateral decisions? Can the CEC take unilateral decisions? On July 16, 2017, the Election Commission (EC) arranged a news conference to announce its electoral roadmap. 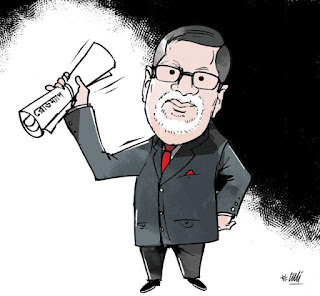 According to a Prothom Alo report (July 17, 2017), when asked at the news conference about the recent transfer of EC officials due to the decisions of the Chief Election Commissioner (CEC) and the Secretary, ignoring other Commissioners, the CEC said, "Mr. Talukdar [Election Commissioner Mahbub Talukdar] knows this better. This is Mr. Talukdar's product." The CEC claimed that transferring officials is within the jurisdiction of the EC secretariat and there is no need to coordinate with the Commissioners in this matter. The Commissioners do not even have to know about it. In the past, the EC did not have a separate secretariat—its secretariat was part of the Prime Minister's secretariat. In response to the longstanding demands voiced by many of us, The Election Commission Secretariat Act, 2009 was enacted to create an independent secretariat for the EC to help it perform its responsibility of holding free and fair elections. The EC's independent secretariat is created with a secretary and a group of other staff. To reduce its dependence on the government in conducting elections, a significant number of new staff were hired during the tenure of the Huda Commission (Dr Shamsul Huda). The purpose of such hiring was to help the Commission conduct free, fair and credible elections. Since all of the staff work for the Commission to this end, it is only natural that their appointments, transfers and promotions should be the jurisdiction of the Commission, consisting of five members. Under Section 5 of The Election Commission Secretariat Act, it has been said that “the secretary shall be the administrative head of the Election Commission secretariat”, with the responsibility of administration and control of all its staff, including the field staff. The secretary performs these roles to assist the Commission in conducting free and fair elections. Section 4(1) of the law clearly states, “The EC secretariat shall be responsible for providing all secretarial services to the Commission and it shall perform other responsibilities given to it by the Commission.” It is thus clear that the Commission is the supervising authority of the secretariat and the secretary is accountable to the Commission. The Election Commission Secretariat Act makes this accountability structure more unequivocal. Section 14(1) of the law states, “In performing all its responsibilities, the secretary shall be accountable to the Election Commission through the Chief Election Commissioner”. In other words, the secretary is clearly made accountable to the Commission, although through the CEC. Thus, the CEC has no authority to make important decisions together with the secretary ignoring the Commission, which is a composite body [Jatiya Party vs Election Commission, 53 DLR (AD)(2001)]. To conclude, our EC is an independent constitutional body, and as such it is not directly accountable to any other institution. The Commission's accountability is to the people of Bangladesh and it is obliged to hold, on their behalf, free, fair, peaceful and credible elections. In the absence of an institutional accountability structure, the Commission has to function with the highest degree of transparency, accountability and sense of responsibility. That is what we expect from our Commission.